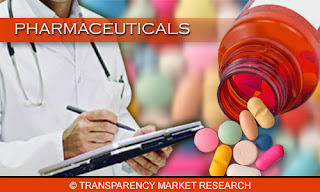 Transparency Market Research Report Added "Bone and Joint Health Supplements Market - Global Industry Analysis, Size, Share, Growth, Trends and Forecast, 2013 - 2019" to its database. Bone and joint health concerns have grown globally, due to increased cases of fractures, back and neck pains, bone ailments and trauma. Bone and joints health supplements industry has been offering diverse value-added functional ingredients, belonging to different health segments. Some of the commonly used bone health ingredients include calcium, soy isoflavones, prebiotic fiber and vitamins. Ingredients used in making these supplements are glucosamine, collagen peptide, chondroitin, methylsulfonyl methane, hyaluronic acid, boswellia serrate and omega-3 fatty acids. Ageing population which is prominent in North America, Europe and certain Asian countries such as Japan helps in driving the market on account of higher preference given to supplements and medications. Rising awareness regarding health concern is another primary factor which is expected to contribute to the demand for joint health supplements market. However, there has been a change in consumer approach towards health and living with increasing focus on preventing diseases rather than treating which may hamper the growth of this market. Moreover, rising demand for herbal products and the consequent development of herbal bone and joint health supplements is expected to open the new opportunities in the market over the future. U.S was the largest revenue generator for bone and joint health supplements market owing to the rising incidences of consumer awareness, sports injuries and obesity. In addition, Asia Pacific countries such as Japan are expected to excel in this market due to its increasing population and heath care expenditure. Some of the key players in this market are Cargill, Inc., Bergstrom Nutrition, Inc., ESM Technologies LLC, Danisco A/S, DSM Nutritional Products Ltd, Ethical Naturals, Inc., Koyo Chemical Company Ltd., Navamedic ASA, Schiff Nutrition International Inc., Kappa Bioscience AS, NBTY, Inc. and Simply Supplements among others.